There’s no single cause for suicide. Suicide most often occurs when stressors and health issues converge to create an experience of hopelessness and despair. Depression is the most common condition associated with suicide, and it is often undiagnosed or untreated. 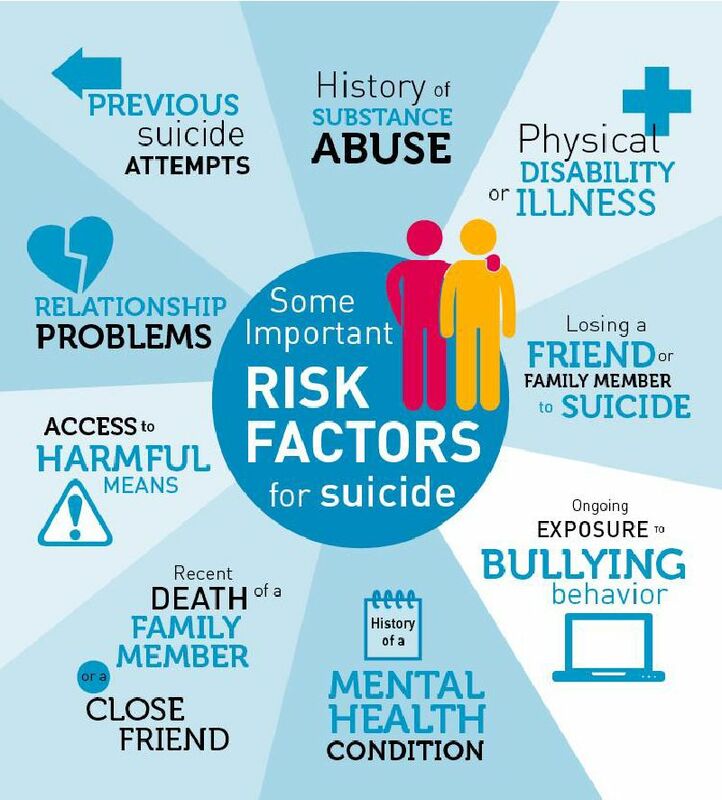 Conditions like depression, anxiety and substance problems, especially when unaddressed, increase the risk for suicide. Yet it’s important to note that most people who actively manage their mental health conditions go on to engage in life. 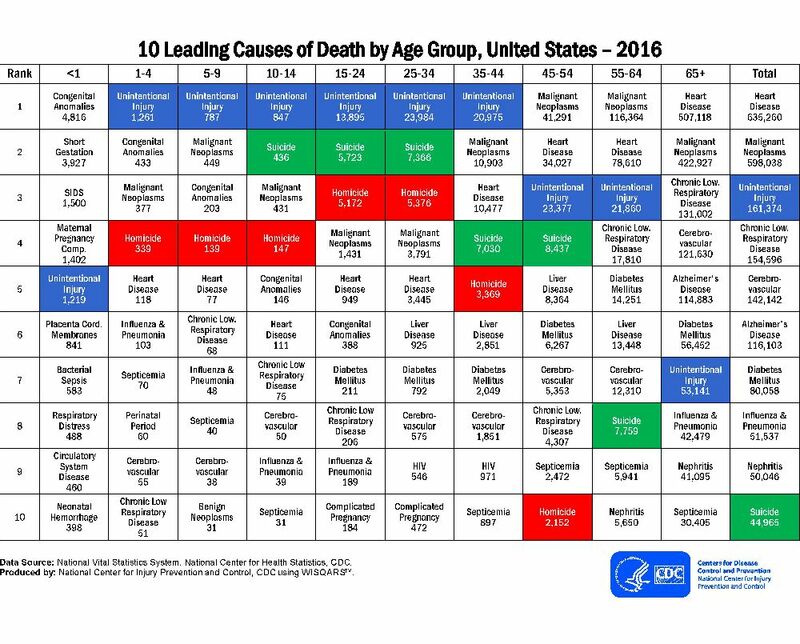 ● The 2017 age-adjusted suicide rate is 14.0 per 100,000individuals. ● The rate of suicide is highest in middle age — white men in particular. ● In 2017, men died by suicide 3.54x more often than women. ● On average, there are 129 suicides per day. ● White males accounted for 7 of 10 suicides in 2016. ● Firearms accounted for 51% of all suicides in 2016. 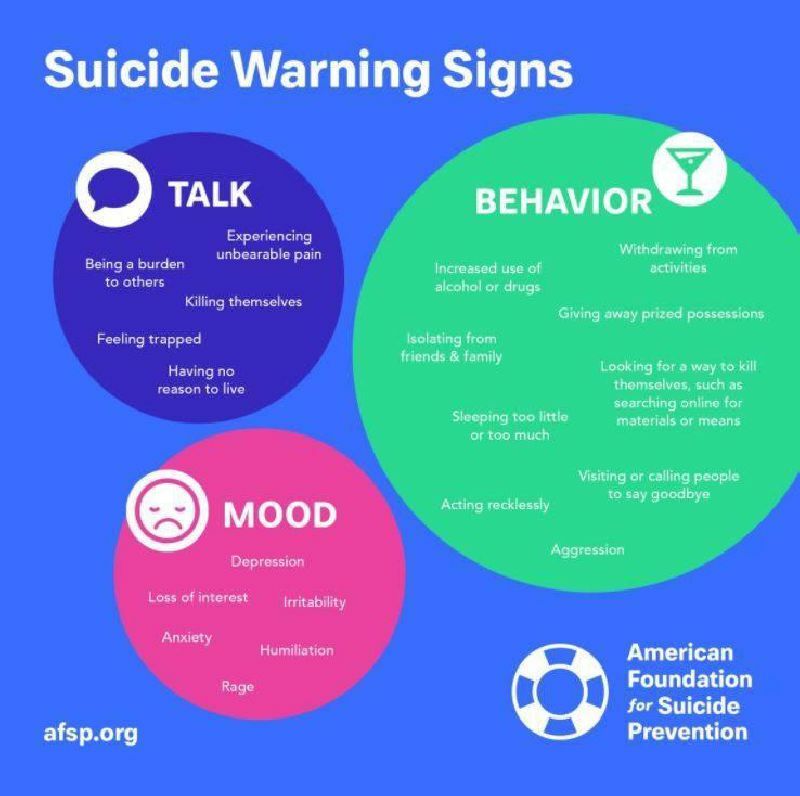 Go to https://afsp.org/about-suicide/suicide-statistics/ to view state and national data.